First Listen: 7 Days Of Funk, '7 Days Of Funk' No contemporary artist is more dedicated to keeping the funk alive than Los Angeles producer Damon Riddick, a.k.a. Dâm-Funk. His collaboration with iconic rapper Snoop Dogg is heavy on George Clinton's cosmic grooves and notable for its many moments of subtlety. 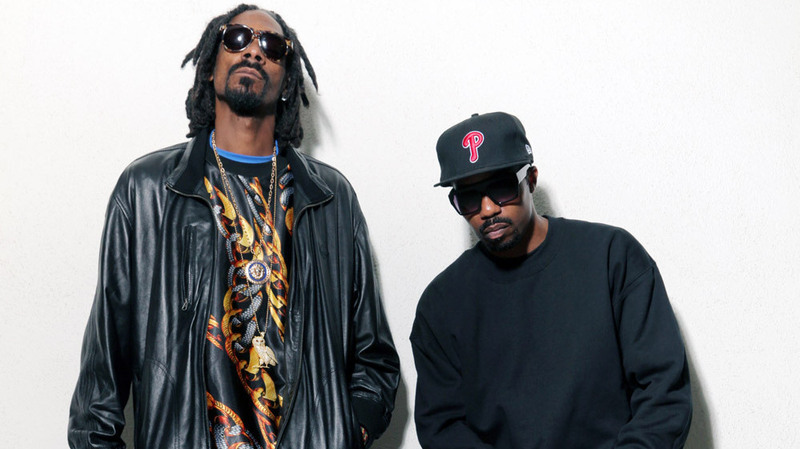 7 Days Of Funk (featuring Snoopzilla and Dâm-Funk) releases its self-titled album on Dec. 10. Funk isn't exactly a high priority in contemporary music — spiritually, conceptually, or in the music itself. But 7 Days of Funk, a collaboration between two extravagantly funky Angelenos — producer Dâm-Funk and rap icon Snoop Dogg, billed here as Snoopzilla — celebrates this hard-to-pin down, yet unmistakable quality. In comparison to Dâm-Funk's masterful debut album, Toeachizown — which, at points, bore some New Wave influences à la Prince — the primary point of reference here is George Clinton's cosmic slop, a rich vein of funk that Snoopzilla has been feeding on throughout his career. 7 Days of Funk reestablishes the mothership connection between the hyperhuman sprawl of Los Angeles and a higher self zooming around in interstellar space. Dâm-Funk clearly enjoys the ungainly wallop of vintage rhythm boxes, which clomp along with all their human-aping imprecisions, while stargazing synthesizer pads smear petroleum jelly on the lens. Few rappers can pull off the ridiculous without clowning themselves in the process. Snoopzilla is a natural at doing retro with the kind of conviction required to bring chunky boogie into the present. Both he and Dâm-Funk are funk lifers who understand that supremely chilled-out, anxiety-free grooves are an excellent conduit for boasts and love songs alike. Even though the video for "Faden Away" portrays the duo goofing around, the album is notable for moments of subtlety. "Let It Go" is a breezy love jam and complex bit of self-talk from Snoopzilla at the same time. Snoop's trying to persuade a girl that they can get back on track with full knowledge that the only thing to do is what's indicated in the title. On "Do My Thang," he's meditating on some extraterrestrials' advice — "Only you can do you," they offer, presumably while hanging out the window of their flying saucer — suggesting that, for these two as much as for the listener, funk is just as good for self-actualization as it is for house parties.